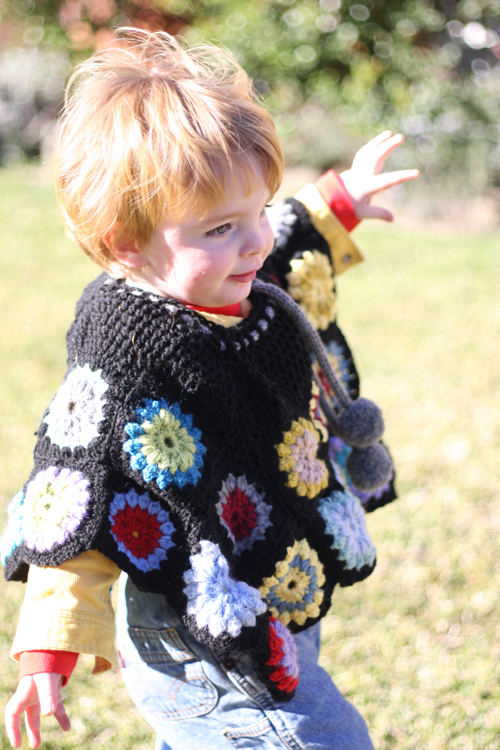 At the beginning of the year I decided I was going to crochet granny squares to make Bub a poncho. The other day I finished said poncho, but left the outer edge un-trimmed to I can add to it and make it longer as Bub gets longer. I think it’s a bit of a success. This is Bub being an aeroplane in our front garden btw.